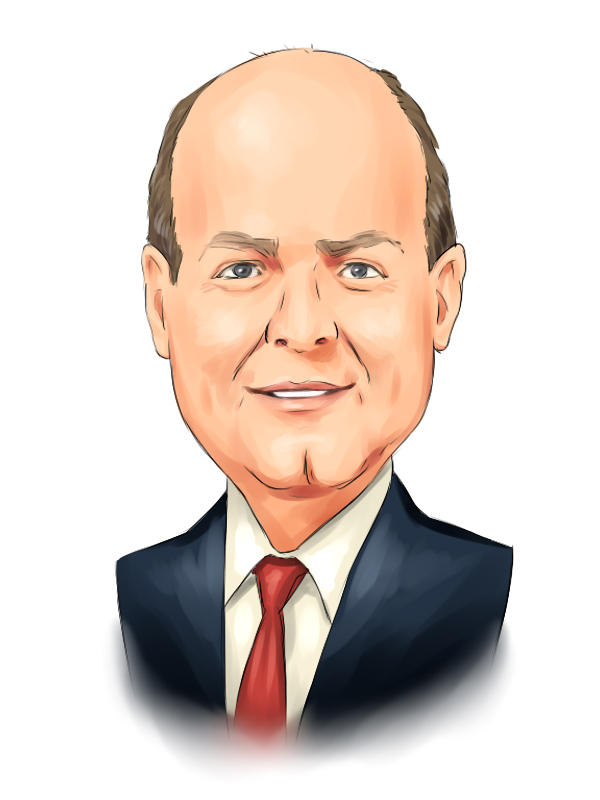 Were Hedge Funds Right About Flocking Into Fifth Third Bancorp (FITB) ? Hedge funds and large money managers usually invest with a focus on the long-term horizon and, therefore, short-lived dips on the charts, usually don’t make them change their opinion towards a company. This time it may be different. During the fourth quarter of 2018 we observed increased volatility and small-cap stocks underperformed the market. Hedge fund investor letters indicated that they are cutting their overall exposure, closing out some position and doubling down on others. Let’s take a look at the hedge fund sentiment towards Fifth Third Bancorp (NASDAQ:FITB) to find out whether it was one of their high conviction long-term ideas. Fifth Third Bancorp (NASDAQ:FITB) shareholders have witnessed an increase in enthusiasm from smart money lately. 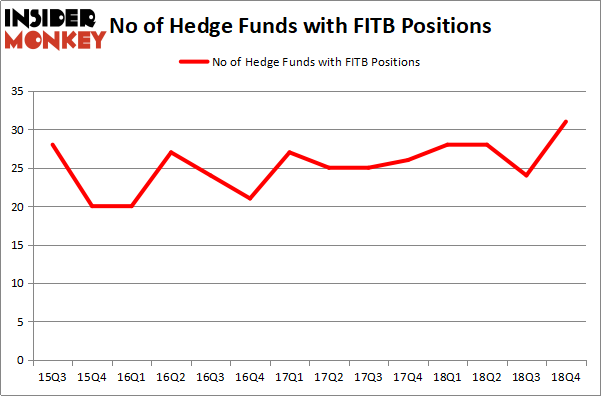 Our calculations also showed that FITB isn’t among the 30 most popular stocks among hedge funds. To most stock holders, hedge funds are viewed as underperforming, old investment vehicles of yesteryear. While there are greater than 8000 funds in operation at present, Our experts choose to focus on the upper echelon of this club, about 750 funds. It is estimated that this group of investors preside over most of the smart money’s total capital, and by paying attention to their first-class stock picks, Insider Monkey has unearthed several investment strategies that have historically exceeded Mr. Market. Insider Monkey’s flagship hedge fund strategy defeated the S&P 500 index by nearly 5 percentage points a year since its inception in May 2014 through early November 2018. We were able to generate large returns even by identifying short candidates. Our portfolio of short stocks lost 27.5% since February 2017 (through March 12th) even though the market was up nearly 25% during the same period. We just shared a list of 6 short targets in our latest quarterly update and they are already down an average of 6% in less than a month. Let’s analyze the key hedge fund action surrounding Fifth Third Bancorp (NASDAQ:FITB). What have hedge funds been doing with Fifth Third Bancorp (NASDAQ:FITB)? At the end of the fourth quarter, a total of 31 of the hedge funds tracked by Insider Monkey were bullish on this stock, a change of 29% from the second quarter of 2018. By comparison, 28 hedge funds held shares or bullish call options in FITB a year ago. With hedgies’ sentiment swirling, there exists a select group of noteworthy hedge fund managers who were increasing their holdings considerably (or already accumulated large positions). Among these funds, Citadel Investment Group held the most valuable stake in Fifth Third Bancorp (NASDAQ:FITB), which was worth $200.6 million at the end of the third quarter. On the second spot was Pzena Investment Management which amassed $98.6 million worth of shares. Moreover, Arrowstreet Capital, Balyasny Asset Management, and AQR Capital Management were also bullish on Fifth Third Bancorp (NASDAQ:FITB), allocating a large percentage of their portfolios to this stock. Now, specific money managers have been driving this bullishness. Sirios Capital Management, managed by John Brennan, created the most outsized position in Fifth Third Bancorp (NASDAQ:FITB). Sirios Capital Management had $45.9 million invested in the company at the end of the quarter. Jim Simons’s Renaissance Technologies also initiated a $29.2 million position during the quarter. The other funds with brand new FITB positions are Phill Gross and Robert Atchinson’s Adage Capital Management, Jeffrey Talpins’s Element Capital Management, and David Costen Haley’s HBK Investments. Let’s now take a look at hedge fund activity in other stocks – not necessarily in the same industry as Fifth Third Bancorp (NASDAQ:FITB) but similarly valued. These stocks are KeyCorp (NYSE:KEY), IAC/InterActiveCorp (NASDAQ:IAC), CGI Inc. (NYSE:GIB), and Diamondback Energy Inc (NASDAQ:FANG). This group of stocks’ market caps are similar to FITB’s market cap. As you can see these stocks had an average of 36 hedge funds with bullish positions and the average amount invested in these stocks was $1202 million. That figure was $775 million in FITB’s case. IAC/InterActiveCorp (NASDAQ:IAC) is the most popular stock in this table. On the other hand CGI Group Inc. (NYSE:GIB) is the least popular one with only 17 bullish hedge fund positions. Fifth Third Bancorp (NASDAQ:FITB) is not the least popular stock in this group but hedge fund interest is still below average. This is a slightly negative signal and we’d rather spend our time researching stocks that hedge funds are piling on. Our calculations showed that top 15 most popular stocks among hedge funds returned 19.7% through March 15th and outperformed the S&P 500 ETF (SPY) by 6.6 percentage points. Hedge funds were also right about betting on FITB as the stock returned 20.4% and outperformed the market as well.